Want to teach youth circus? 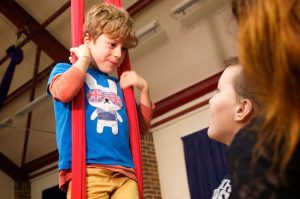 The Circus Project is hosting teacher training workshops to get you started and to develop your existing teaching skills. We are welcoming Isabel Van Maele from Belgium to lead the training. Isabel has been teaching circus since 1993 and is a member of the pedagogical staff at “Cirkus in Beweging” (a youth circus school in Leuven, Belgium). Following her Masters degree in physical education she started circus training at the École de Cirque de Bruxelles (ECB). Since 2000, Isabel has helped coach future aerial trainers at ECB. She coordinates the “Flemish Basic Circus” trainer program (BIC), she is co-author of the book “Circus School” and writer of the “Guidelines for Trainers Development Program Youth Circus” published by Kunstfactor, NL. In 2012-14 she participated in the CATE programme, which resulted in the online available European model for basic circus training. She has given trainer weekends in Italy, Spain, Finland and Switzerland. 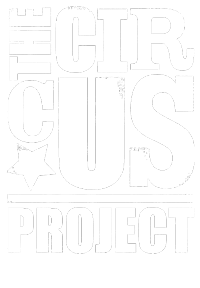 You can email Naomi via mail@thecircusproject.co.uk for information or to book. I was wondering whether there will be a teacher training in 2017 as well?